KCU cares about the environment and continually takes steps toward making the University and area communities more sustainable. KCU-Kansas City's on-campus recycling bins and Cottonwood Café composting program provides ways reduce landfill waste. KCU-Kansas City’s Community Park and Garden provides the University an opportunity to grow and share nutritious foods with underserved populations while reaffirming a commitment to promoting healthy lifestyles. Students and employees can join the gardening group or the Community Garden Compost Program. 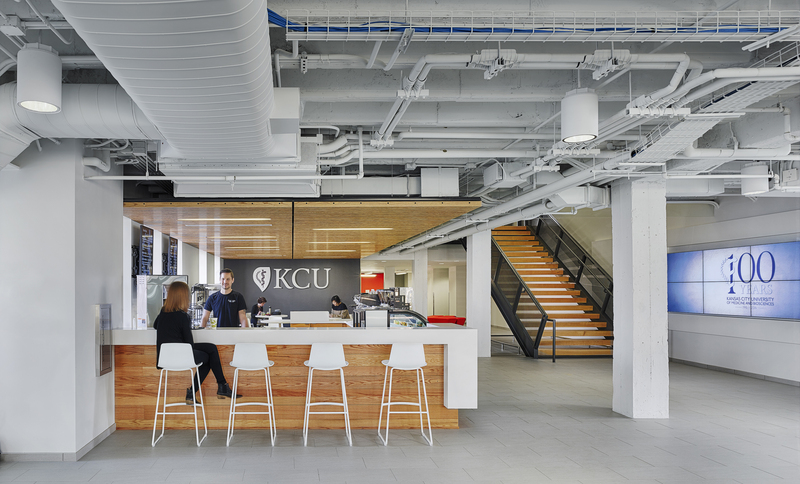 Whether it's energy or resources, KCU aims to use only what it absolutely needs. By increasing the implementation of paperless systems, opting for products with less packaging and complying with LEED certification, we are diligently working toward diminishing our carbon footprint.